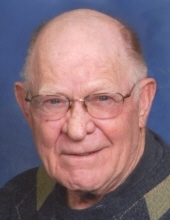 Carl Henry Cheramy, 80, of Fleming, CO, formerly of Ft. Morgan, passed away Friday, April 5, 2019 in Fleming. Memorial services will be held Thursday, April 11th at the Fleming United Methodist Church at 10:30 a.m. with Pastor Jodie Harless officiating. Carl Henry Cheramy was born July 28, 1938 in Haxtun, CO to William Carl Cheramy and Florence (Price) Cheramy. Carl attended Haxtun Schools where he was very active in choir, band, and sports. He graduated in 1956. He attended NJC for one year before enlisting in the U.S. Navy. He served 5 years. After marrying Alice Schuman in 1958 they lived in Bremerton, WA and Long Beach, CA and spent 2 years at Treasure Island in Oakland, CA. While in the service he was a proud member of the Drum and Bugle Corps and was a Purser on the aircraft carrier USS Hornet for 3 years. Upon their return to Colorado he attended CSU then started his career in finance. He worked at University National Bank until 1967, Farmers State Bank in Fort Morgan through 1979 and Longmont National Bank until accepting the position of President of the First National Bank of Fleming. He left banking in 1987 and became a full-time insurance agent with Farmers Insurance Group until his retirement in 2009. Carl was a fun-loving soft hearted and dedicated family man who loved to laugh. He enjoyed playing cards, fishing, golfing and spending time with family and friends. He loved music and sports and if he wasn’t participating, enjoyed watching his kids and grandkids in their many activities. He was very supportive of youth and was an officer in the Optimist Club, a member of the Sterling Elks Lodge and was a 32nd degree Mason with the Denver Consistory. Carl is survived by his wife Alice of Fleming, son Randall Cheramy of Denver, daughter Renee Cheramy of Garden City, KS, granddaughter Alicia Blankenship of Santa Fe, NM, Grandson Austin Vandenbark and wife Brook and great granddaughter Raelynn Jo Vandenbark Fleming. Brother in law Alvin Schuman, Haxtun. Nephew Ronald J. Cheramy and wife Josie, Sterling and niece Della Greer husband Mike of Lafayette, CO, numerous great nieces and nephews and their families. He was preceded in death by his parents, his brother Earl Cheramy and his niece Donna (Cheramy) Riley. In lieu of flowers memorials can be made to the Carl Henry Cheramy Memorial Fund which will be dispersed to several of his favorite charities c/o Tennant Funeral Home PO Box 1547, Sterling, CO 80751 or in Carl’s name to the charity of your choice. To send flowers or a remembrance gift to the family of Carl Henry Cheramy, please visit our Tribute Store. "Email Address" would like to share the life celebration of Carl Henry Cheramy. Click on the "link" to go to share a favorite memory or leave a condolence message for the family.